SO, fragrances are pulled from an array of raw materials, from flowers to fruits to spices. But, it’s about what you want to smell like. Are you looking for a jeans-and-T-shirt day scent, that’s light and clean? Or a nighttime one that’s strong and enticing? The way you dress, and even your skin tone, can affect which fragrances work for you. If you love wearing jeans and sneakers, you’re probably better off wearing something citrusy. This is perfect for easygoing and sporty men. If you favor wearing a tailored suit, a spicier scent is a good option. Major brands have a “feel” to them that’s part science and part marketing. Prada perfumes for example, have a family of familiar scents, so if you’ve worn one for years, the newest Prada blend should feel comfortable to you, even if it’s not the same scent. 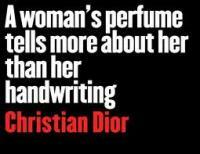 It’s always better to shop/try a perfume in the morning; your senses sharper. Also if you are purchasing from a store, then the air in a store won’t be full of other fragrances, which will make the process easier. The BEST way to select a perfume you really LOVE is to take four to six samples home and to spray one on each day for a week until you decide which is your favorite. In my opinion, it’s worth the effort. You can also immediately purchase a bottle of course, if you try on a fragrances in store - but no more than four, and put one on the inside of each wrist and one in the crook of each elbow, or the smells will mingle and confuse you. It takes at least 15 minutes for a fragrance to react with your skin and for the heart of it to kick in. Spicier fragrances actually get stronger the longer they stay on your body. What you smell after 15 minutes will stick around for only an hour or two, but it’s similar enough to the scent that will last the rest of the day for you to be able to judge it accurately. Have you tried Lindo Parfumo? An original perfume can cost anything between R600 and R2000 depending on what you buy. I guess if you can afford it and don’t mind spending a lot on perfume, then why not?! However, in today’s economic times thre many people who are looking for a well-made, great perfume for an affordable price; and Lindo Parfumo offers exactly that! FEEL FREE TO TRY US!